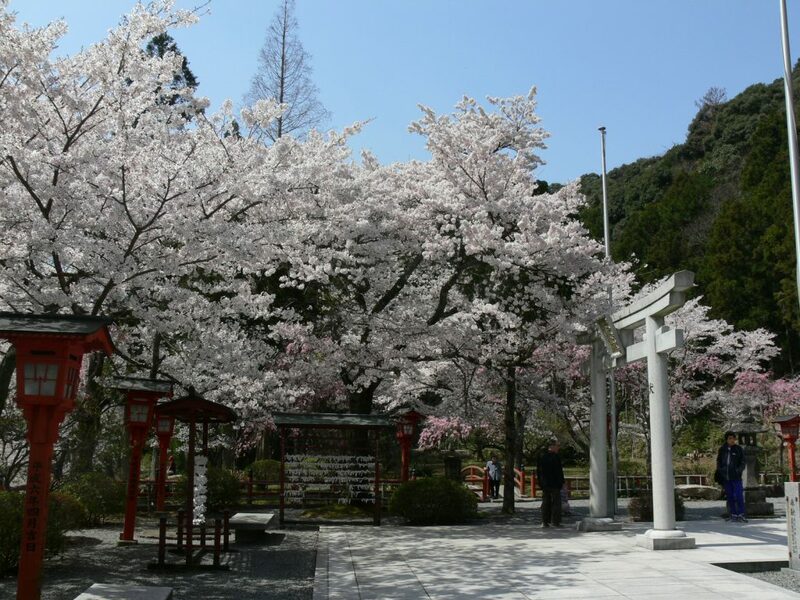 Nagato's Motonosumi Shrine was selected by CNN Travel as one of the "31 Most Beautiful Places in Japan," but Nagato is also home to many other scenes of uniquely Japanese beauty, including cherry blossoms and autumn foliage. Use your favorite camera, and share your best photos on social media! 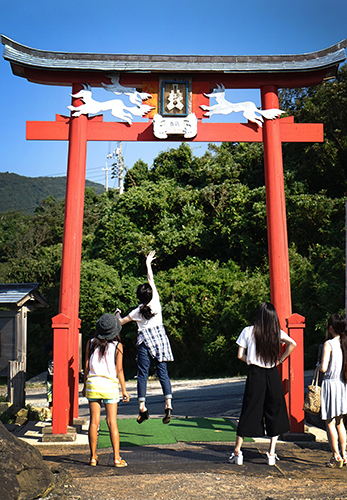 Nagato’s foremost sightseeing spot is Motonosumi Shrine. 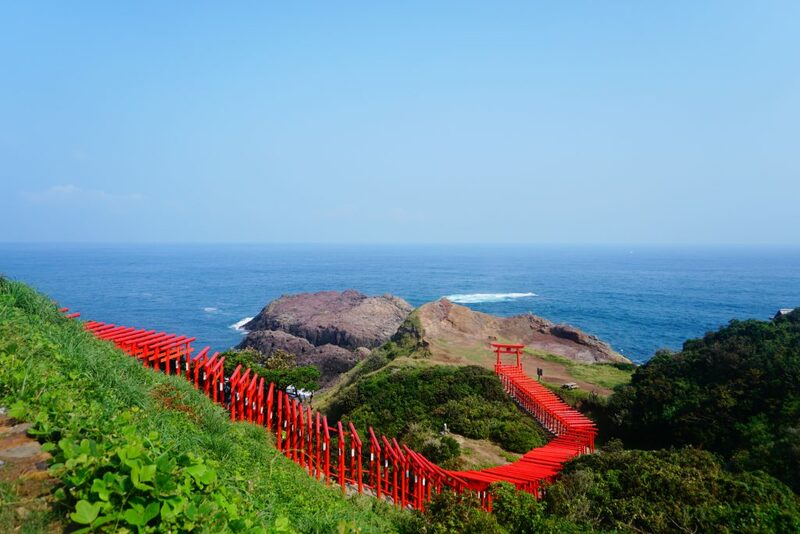 With the perfect blue of the Sea of Japan, the red of the 123 torii gates extending down the hill, and the surrounding green, the scenery here is brought out sharply by the contrast of three colors. Atop one of the torii here is a shrine offeratory box, which, at a height of 5 meters, is said to be the most difficult offeratory box in Japan into which to place a donation! It’s said that your wish will be granted if your coin lands in the box, so be sure to make a wish as you throw. And of course, don’t forget to take a picture! Photos of coin-throwing attempts are fun, too! 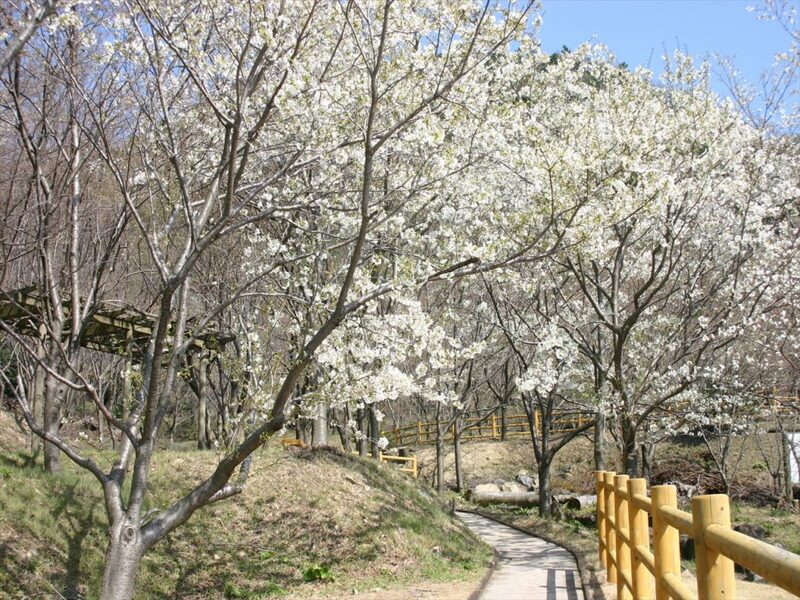 Japanese people love cherry blossoms, and Nagato City is full of cherry blossom-viewing sights. Amongst these, the slopes of Omijima Cherry Blossom Country, which faces Shitsura Bay, are turned pink with nearly 1,000 Yoshino, Yae-zakura and other varieties of cherry trees. Each April, the “Nagato Omijima Cherry Blossom Country’s Thousand-Tree Cherry Blossom Festival” is held, and night-time light-ups are held as well. Come and enjoy the cherry blossoms at night, too! 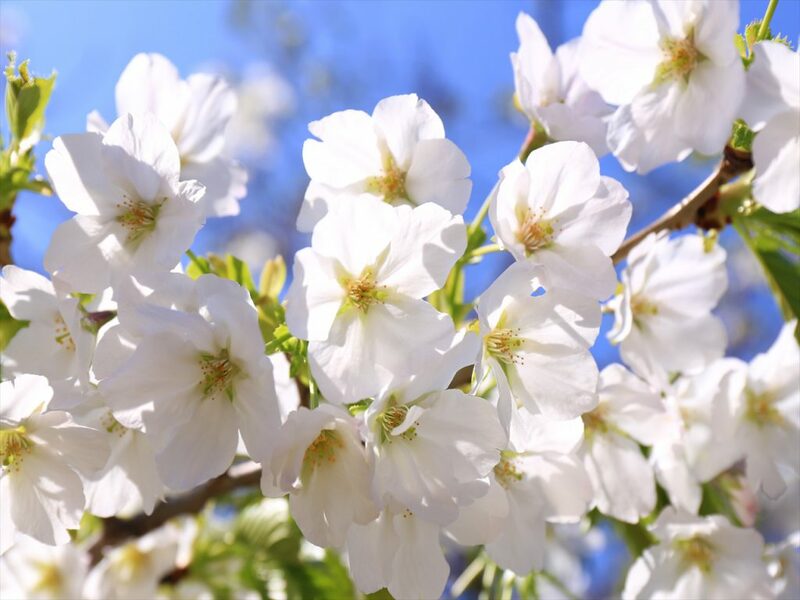 Nearly 1,000 cherry trees burst into bloom. Night-time light-ups are held as well. 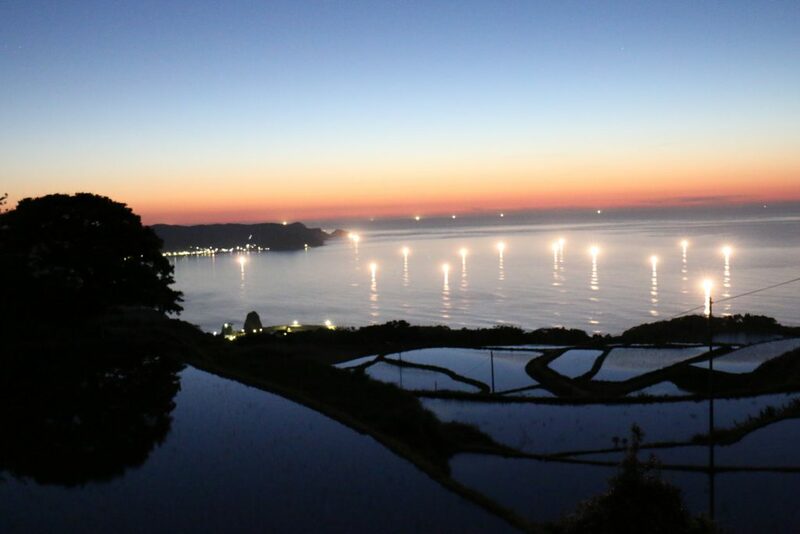 The Yuya Terraced Rice Fields are a picturesque location known across Japan for their extraordinary simultaneous view of rice paddies, fishing boat lights, and the setting sun. The paddies will be filled with water, and the fishing boats most active from late April to June. 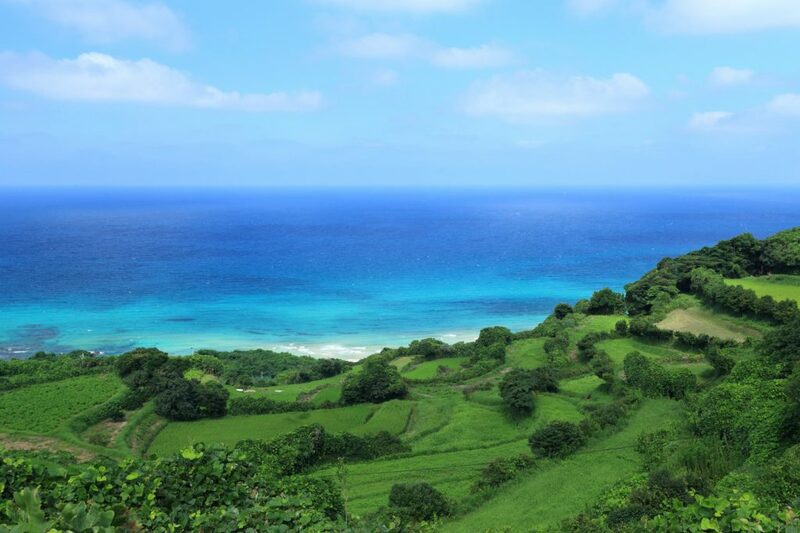 The contrast of the rice paddies’ green and the blue of the ocean is exquisite. 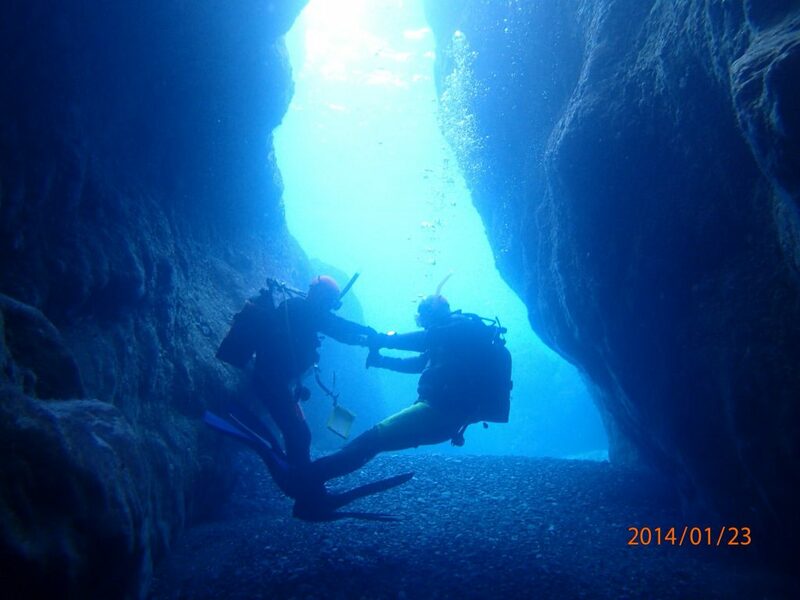 Omijima Island is one of just a few diving spots in Japan where divers can enter the water directly from the beach, where even beginners can enjoy scuba diving at their leisure. It is also a popular photo spot amongst photographers for the rare creatures that can be seen here. Divers can also find a number of underwater caves, and with their cameras, capture scenes of otherworldly beauty down below. 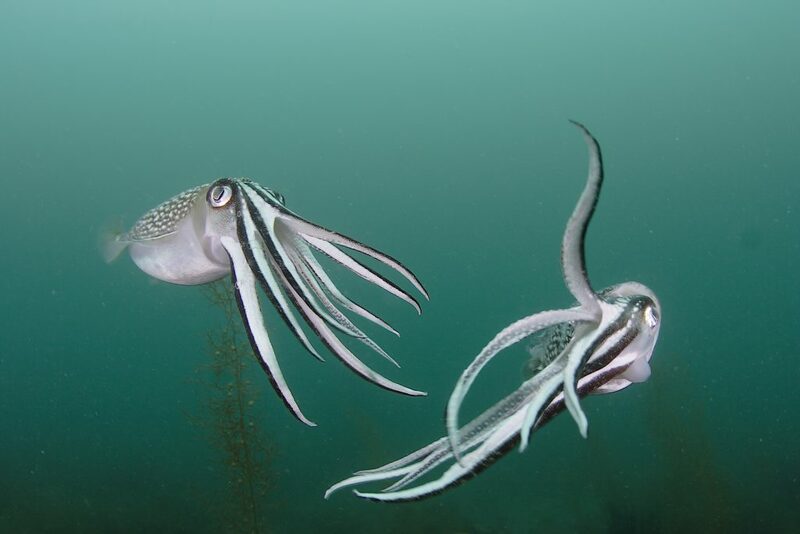 Catch incredible shots of creatures you can only find underwater! Tainei-ji Temple is a famous Buddhist temple of the Soto Zen sect, and is also well-known as a location for viewing cherry blossoms in the spring, and autumn foliage in the fall. 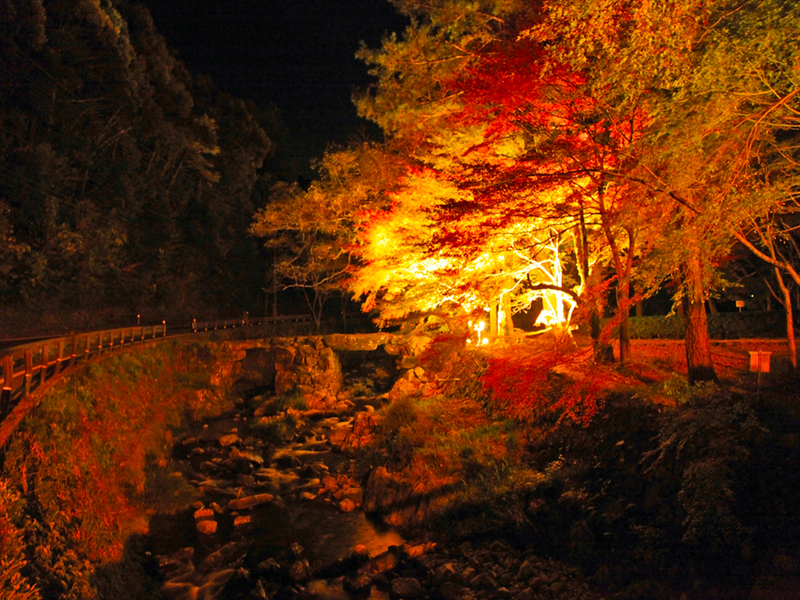 The sight of these leaves and the expanse of the red Kokei Bridge, which stretches across the river flowing through Tainei-ji Temple, is extrememly popular with photographers, and nighttime light-ups are held here during both spring and fall. Tainei-ji Temple looks completely different from season to season, and is visited by many people each year. As soon as you set one foot in this onsen town, you’ll be surrounded by the retro feeling of a tradiitonal Japan, almost as if you’d slipped back in time. The scenery here is an unusual sight in today’s Japan. 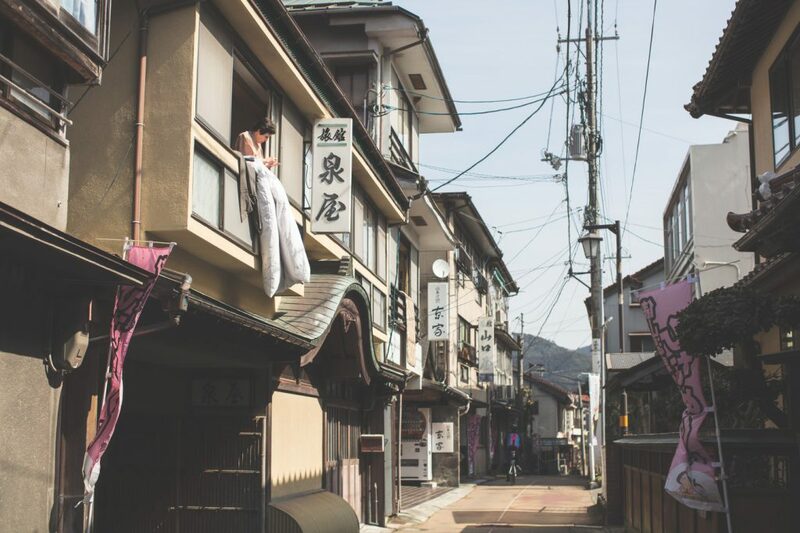 In Tawarayama Onsen, the use of traditional external baths (“soto yu”, in which visitors to ryokan inns travel to public baths) is typical, and you may well catch a glimpse of such lodgers dressed in yukata, with geta sandals on their feet as they head to the baths. The nearby Noman-ji and Sainen-ji Temples are famous for their autumn foliage, so be sure to bring your camera along for a stroll in Tawarayama. Autumn leaves at Sainen-ji Temple. 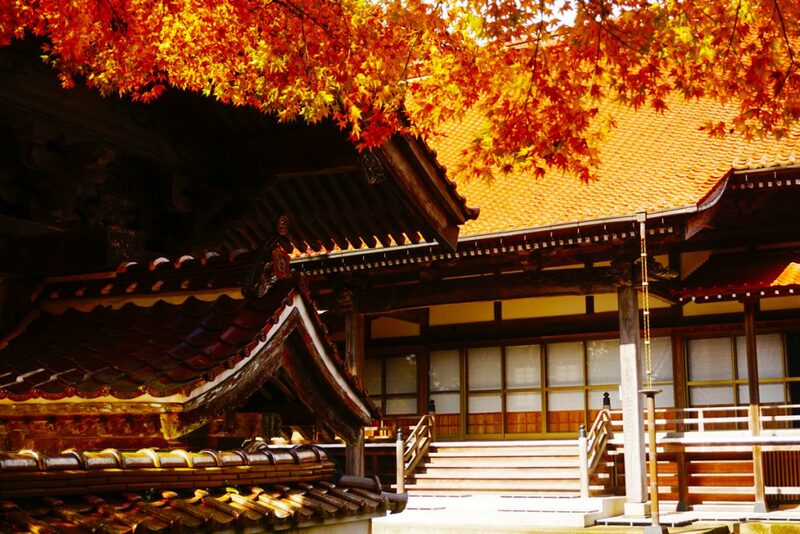 Enjoy the lovely sight of autumn in Japan when the temple is filled with colored leaves. 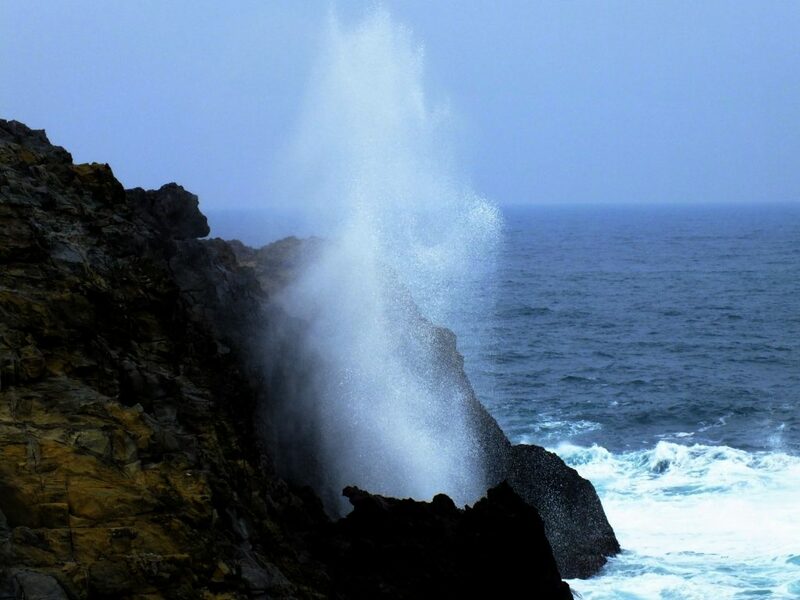 Just beside Motonosumi Shrine, when the wind blows from the west, and the seas are choppy, the waves rise up, and a burst of sea spray blows upwards as high as 30 meters. When seen from far away, this burst looks almost as though Ryugu, a dragon god under the sea were climbing up out of the sea towards the sky, giving this spot its name, “The Dragon’s Spout.” Seen most frequently in the winter, the falling droplets from the sea spray reflect the sunlight and scatter like silver sand. If your timing is right, you’ll be able to take some amazing photos here! 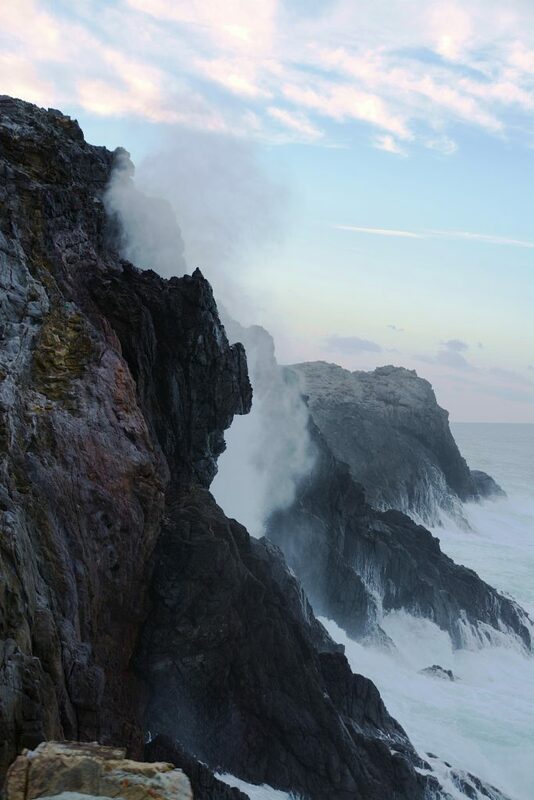 The instant when waves strike the cliffs is an extremely powerful sight. There are many more photo spots still! This article introduces just seven of Nagato’s seven photo spots, but there are many, many more. 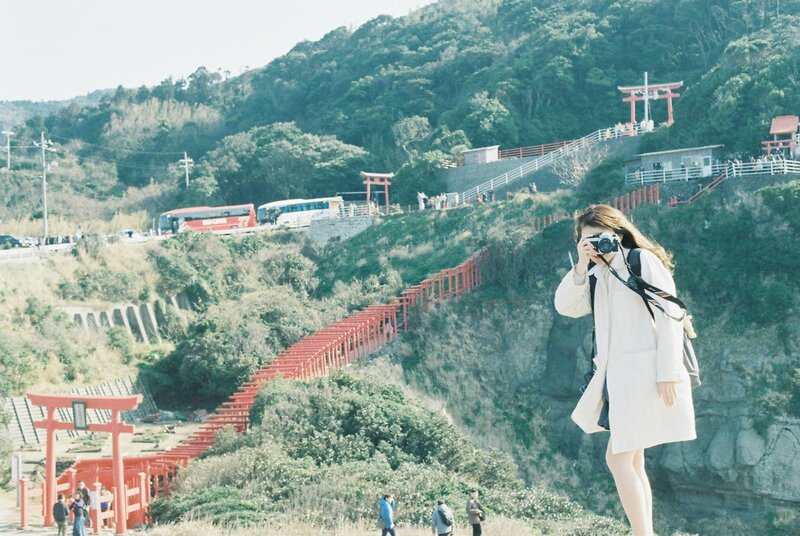 Nagato City’s Photo Contest also publishes a website (Japanese only), which you’re welcome to check out to find your own favorite spot, or somewhere you’d like to visit in Nagato!